This article describes how to install Nextcloud on openSUSE. If you want the full package, you can buy a Nextcloud Box and add your Raspberry Pi 2. Today, computer work is not limited to a single machine. People have the urgent need to share their data over various computers, ie. desktop computers, laptops, mobile phones and such. For that a so called cloud-solution is very helpful. Many people use tools or sites like Dropbox, OneDrive, Google Drive, Facebook, twitter etcetera. These solutions however are not good for your privacy and you lose control over your own data. openSUSE believes it is important to protect your privacy and security and the solution for that is Free software. Something which protects both your content and is trust-worthy (source is available and can be modified). Nextcloud is the next generation Enterprise File Sync & Share that was started by ownCloud inventor Frank Karlitschek to empower users to take back control over their data and communication. It runs on your computer, in your home network or on your web space with minimal requirements. First and foremost it allows you to store files on it and access it from everywhere you have access to the web. It is compatible with most platforms (Win/Mac/Linux/most mobile phones) without requiring you to install anything. But there are more features: Nextcloud provides you with a media player, calendaring and contact management and with a desktop client you can automate your file backups. There are several options to easily set up and integrate Nextcloud with openSUSE distributions. The easiest option is to install Nextcloud package from OBS repositories. There are packages available for openSUSE Leap 15.0, 42.3 and Tumbleweed. You should be an administrator, so you can install Nextloud on your server. This will install a basic Nextcloud installation using mariaDB. It is highly recommended you configure mariaDB for use with Nextcloud over SQLite. SQLite will work but it will not work efficiently. Ensure that the LAMP Stack is properly installed and configured. Follow the instructions on that page before proceeding. Create the Nextcloud database. Enter the line exactly as displayed, including the semicolon. 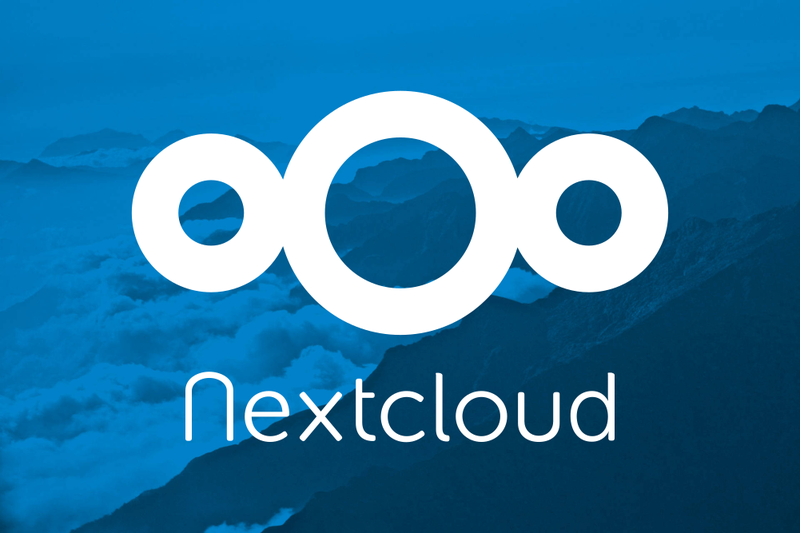 Grant the needed privileges of nextclouduser to the database nextcloud with the password of your choice. Exit the database configuration application. Open http://localhost/nextcloud to install your instance. The data folder is set to the default path. That's it. You have Nextcloud set up for a local or home network use. You will be able to use Nextcloud unencrypted. First of all, let's install the required and recommended modules for a typical Nextcloud installation, using Apache and MariaDB. Next step, create a database. First of all start the service. Where newpass is the password you want. Now you set the root password, create the database. You can change the above information accordingly. Now you should edit the php.ini file. You should enable some modules. Some might be already enabled. Now start the apache service. Now download Nextcloud (find the latest version at install web page). Then unzip and move the folder to the server directory. Make sure that everything is OK and then delete the folder nextcloud and nextcloud-12.0.4.zip from the root (user) directory. Set your administrator username and password. Regarding database, use the following. Wait until it ends the installation. For more information, please refer to Nextcloud documentation page. Nextcloud has clients for all operating systems, ditributions and mobile-tablets. You can find everything at installation page. 1. Insert your server address, username and password at online accounts (usermenu). 2. Open Nautilus and connect to server by clicking on the bookmark on the left panel. Alternatevly, you can install Nautilus extension. You can then enter this address in the address bar in Dolphin (shortcut is CTRL-L, just like in web browsers. Clicking after the current location also gets you a text input field). 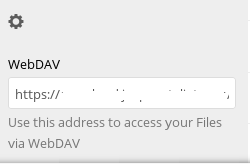 Replace https with webdav and you can get to your files! NOTE: KMail has 'external cloud storage' support, which includes WebDAV. Unfortunately, this does not work very well with Nextloud as it doesn't generate links which can be shared: the links will need your user credentials. Alternatevly, you can install Dolphin extension. You can install Nextcloud app from play store for free. Nextcloud works with DAVdroid. You can download it for free from F-Droid. You can install the application from iTunes. Nextcloud ships with some basic applications installed. Nextcloud is community product, so there are many users who created some awesome applications for Nextloud. You can check the Application site (like appstore), and download the application matched with your Nextcloud version. Installation is pretty simple. Decompress the file and upload it in the apps folder. Finally, login and enable the application you just uploaded. This page was last modified on 4 September 2018, at 19:53. This page has been accessed 21,721 times.